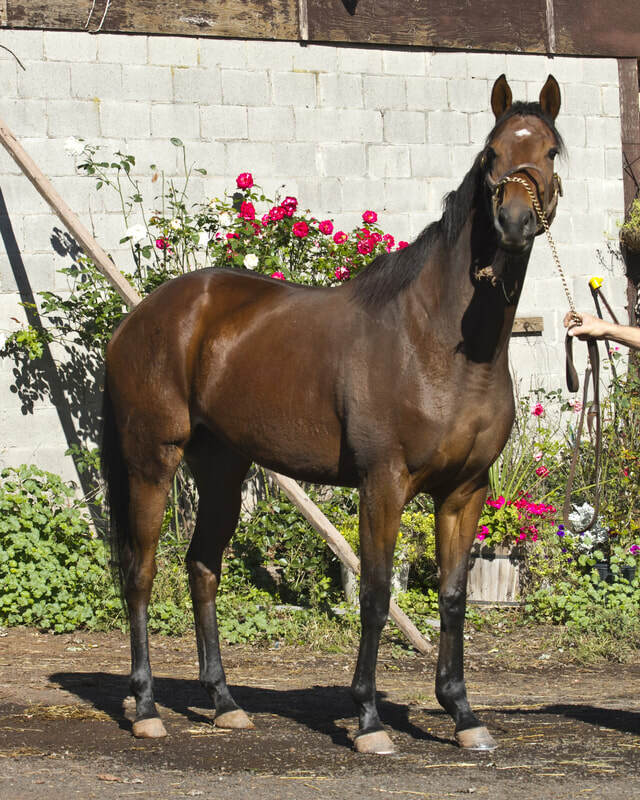 Information about horse: Roseanna retired with a mild bowed tendon that has been successfully rehabbed. This mare has tons of movement. Suited for an intermediate rider. This mare just needs consistent time in the saddle and a rider that can keep her focus. Lots of talent that can go in any direction.